Digitalbarton.com Blog - John Barton - Founding partner of Testify Digital : STRUGGLING TO KEEP WARM WHILE WAITING FOR A BUS LATELY? STRUGGLING TO KEEP WARM WHILE WAITING FOR A BUS LATELY? An awesome outdoor execution. 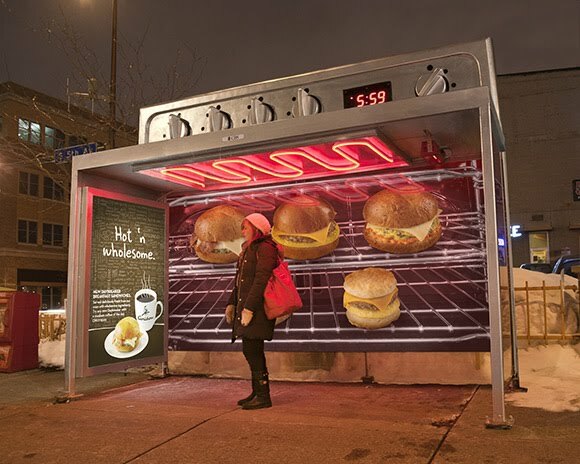 Colle + McVoy of Minneapolis created this amazing piece of experiential outdoor for Caribou Coffee. It's hard to imagine this installation not making an impact on re-call. Especially since according to Like Cool the heater on the roof actually works!